As pet parents, you can have just as much fun coming up with names as human parents do. Plus, the process allows for more creativity; you don’t have to worry about mean playground rhymes or making relatives happy. If you’re leaning toward getting creative with your pet’s name, wait and get to know his furry little personality first. The Rottie mix that you were going to call Bonesaw might turn out to be more of a Muffin. Just remember that the name you choose has to be something that your partner and kids are comfortable calling out in the local park—“Cleopatra” or “Cupcake” might be too much for your teenage son. Avoid confusion. If you are going to practice verbal recall training with your dog, choose a short name that is easy to call out at a distance. Don’t choose a name that sounds like a command, such as Beau or Noah. Be happy. Smile when you call your pet; if she sees you are happy, she’ll be more likely to respond to you. Think ahead. Select a name that will grow with your pet. “Fluffy” might seem right when your little ball of fluff is a puppy, but if he hits 80 pounds (36 kg) it might not seem like such a good fit anymore. Change a name. 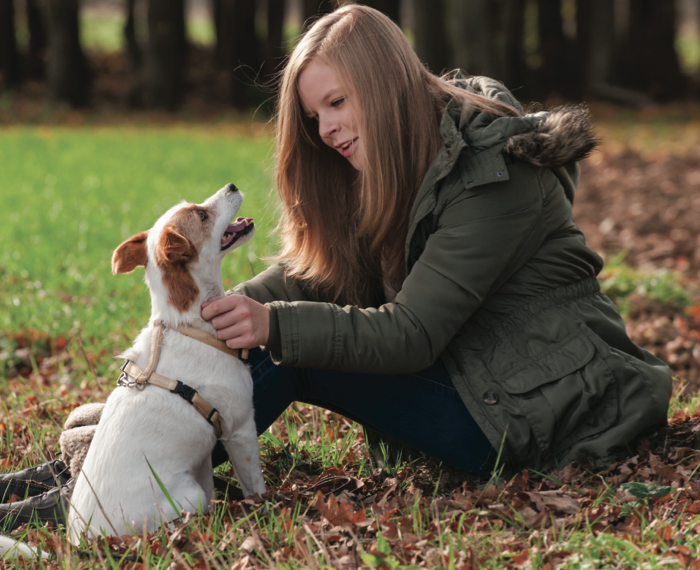 You don’t have to change your dog’s name if you like the one she was given by the shelter or foster home, but if you do want to change it, then positive reinforcement is a great way to train her to respond to her new name. Seek inspiration. If you feel you need a little inspiration choosing a name, browse through 100+ possibilities here, or look online for hundreds more. This article is an excerpt from Adopt-a-Pet.com’s forthcoming book, The Total Dog Manual. For more great tips on all things dog, pre-order the book now on Amazon!